A death knell for government unions? If only. The protesting public-school teachers with fake doctor’s notes swarming the capitol building in Madison, Wis., insist that Gov. Scott Walker is hell-bent on “union busting.” Walker denies that his effort to reform public-sector unions in Wisconsin is anything more than an honest attempt at balancing the state’s books. I hope the protesters are right. Public unions have been a 50-year mistake. A crucial distinction has been lost in the debate over Walker’s proposals: Government unions are not the same thing as private-sector unions. Traditional, private-sector unions were born out of an often-bloody adversarial relationship between labor and management. It’s been said that during World War I, U.S. soldiers had better odds of surviving on the front lines than miners did in West Virginia coal mines. Mine disasters were frequent; hazardous conditions were the norm. In 1907, the Monongah mine explosion claimed the lives of 362 West Virginia miners. Day-to-day life often resembled serfdom, with management controlling vast swaths of the miners’ lives. Before unionization and many New Deal–era reforms, Washington had little power to reform conditions by legislation. Government unions have no such narrative on their side. Do you recall the Great DMV Cave-in of 1959? How about the travails of second-grade teachers recounted in Upton Sinclair’s famous schoolhouse sequel to The Jungle? No? Don’t feel bad, because no such horror stories exist. Government workers were making good salaries in 1962 when President Kennedy lifted, by executive order (so much for democracy), the federal ban on government unions. Civil-service regulations and similar laws had guaranteed good working conditions for generations. And this gets to the real insidiousness of government unions. Wisconsin labor officials fairly note that they’ve acceded to many of their governor’s specific demands — that workers contribute to their pensions and health-care costs, for example. But they don’t want to lose the right to collective bargaining. But that is exactly what they need to lose. Private-sector unions fight with management over an equitable distribution of profits. Government unions negotiate with friendly politicians over taxpayer money, putting the public interest at odds with union interests, and, as we’ve seen in states such as California and Wisconsin, exploding the cost of government. California’s pension costs soared 2,000 percent in a decade thanks to the unions. As it turns out, it’s not impossible; it’s just terribly unwise. It creates a dysfunctional system where for some, growing government becomes its own reward. You can find evidence of this dysfunction everywhere. The Cato Institute’s Michael Tanner notes that federal education spending has risen by 188 percent in real terms since 1970, but we’ve seen no significant improvement in test scores. The unions and the protesters in Wisconsin see Walker’s reforms as a potential death knell for government unions. My response? If only. 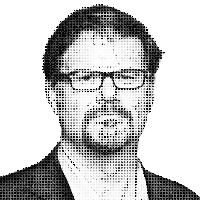 — Jonah Goldberg is editor-at-large of National Review Online and a visiting fellow at the American Enterprise Institute. © 2011 Tribune Media Services, Inc.